Telemachos has a comfortable life on his small island of Ithaka, where his mother, Penelopeia, keeps the peace even though the land has been without its king, his father Odysseus, since the Trojan War began many years ago. But now the people are demanding a new king, unless Telemachos can find Odysseus and bring him home. With only a mysterious prophecy to guide him, Telemachos sets off over sea and desert in search of the father he has never known. 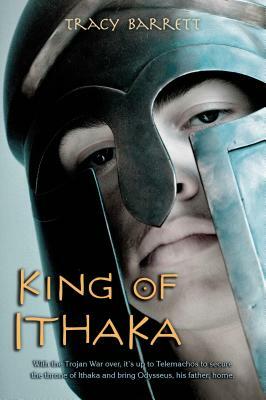 Tracy Barrett brings Greek mythology to life in King of Ithaka.